WOW ... Sell Property Rp 28 jt permeter, Kawana Golf Residence Jababeka Over Sold! INDUSTRY.co.id - Cikarang - PT Grahabuana Cikarang through Jababeka Residence today launched their newest apartment product Kawana Golf Residence at Jababeka Golf & Country Club, Cikarang - Bekasi. Japanese-style apartments established in the business and industrial area of ​​Jababeka Industrial Estate are getting positive response from investors and property agents who are present in the product launching. PT Grahabuana Cikarang As the manager of Jababeka Residence managed to sell all the premium units within a short time. "The response from investors and property agents is very good, all units of Kawana Golf Apartments today are oversold," said President Director of PT Grahabuana Cikarang Suteja Sidarta Darmono in Cikarang, Saturday (9/12/2017). According to Sutedja, the sale of Kawana Golf Residence's apartment units today has really exceeded the projected sales target. "The target should be 40%, but it seems already over-sold. Project property of Rp 28 million per meter vs Rp 6jt per meter can still be over-sold," he said. 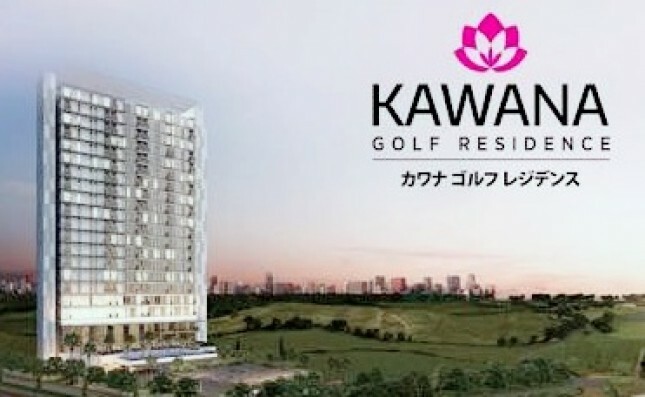 Apartment Kawana Golf Residence consists of 1 tower which summarizes as many as 234 units. There are 3 types of units that are marketed, namely Studio (26.55 m2 semi gross), 1 Bedroom (35.57 m2 semi gross), and 2 Bedroom (62 m2 semi gross), with prices ranging from Rp 1 billion to Rp 3 billion . Each apartment will get a bonus Term Membership Golf which can be used by investors and prospective tenants of Kawana Golf Residence.